the troubled economy is not impeding growth, although you would expect some sectors, namely retail and manufacturing, will be delaying long-term commitments until the economic outlook stabilizes in the coming months. Contract renewal for six years with SAS Airlines, the largest airline company in Scandinavia, to deliver passenger revenue accounting processes. New research from AMR already indicates 20% growth in procurement and source-to-pay in 2008, and continual double-digit growth in both Human Resources and Finance and Accounting BPO domains. Reasons for this uptake are primarily cost-savings on offer from lower-cost offshore labor, largely in India and Philippines, but also increased maturity in delivering BPO services underpinned by common technology platforms, which enables better process efficiencies. Moreover, the uptake of customized offshore services, namely in analytics and data management services has contributed to this market growth. 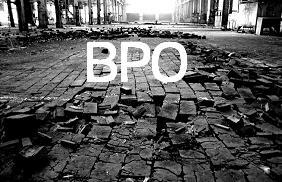 As the US recession deepens, and downward pressure is applied on US wages, we anticipate increased BPO uptake in lower-cost US locations, for example Albuquerque (New Mexico), Cincinnati (OH) and El Paso (TX), which are already benefiting from outsourcing service providers providing onshore BPO services that are primarily customer, employee and supplier-facing. I also believe the Obama administration will deliver legislation that encourages US firms to source work to onshore locations, which may slowdown BPO adoption, but will provide new employment opportunities to the flagging US economy. In our experience at BancTec over the past 6 months, F&A deals that have low (or zero) client-required capital during launch are moving forward at an accelerating rate. AP Outsourcing or 0ptimization deals (reducing unit costs) seem to be very desirable to clients in the present economic environment. Also, revenue cycle deals that show linkage to reduced DSO, and therefore reduced working capital, are also of great interest. I knew WNS when they were less than $100MM, but am not surprised by their growth or success--they were clearly a well run, ambitious operation then. I am happy for that team, even though I have lost track of them for the last few years. I see retail induystry deals picking up. though (I confess I have no data, just a hunch) as margin pressure intensifies and survival rather than profit becomes the focus, arbitrage and other cost savings will become very attractive and deal activity will accelerate. Also, with the credit markets as they are, retailers and other highly leveraged businesses for the first time may find themselves with a higer cost of capital than their providers. It all makes a lot of sense, particularly with the increased government and regulatory hassle of employing someone yourself - it's just way easier to browse over to one of the many internet freelance services sites and have candidates bid on your job. Finds the best candidate for the job with no long term committments, no withholding taxes, etc. And if regional skills (like language) are important, you can easily focus on specific areas. Best bang for the buck I think.